This is part four of a four-part article. Internet of Things (IoT) technology is providing one thing that every custodial executive needs, but none has: the ability to be everywhere at once. For years, manufacturers have been adding electronics, software, sensors and network connectivity to products and equipment used in facilities management. This technology has enabled these objects to collect and exchange data, which is now being used to improve departmental processes. IoT is already producing a multitude of new choices for facility executives. There are cloud-based analytics, lighting systems involved in temperature control, new options for managed services, and software that sits on top of legacy systems to offer new levels of monitoring and control. But if this all sounds a bit overwhelming, you’re not alone. Many facility cleaning executives have struggled to understand IoT technology, how it might impact their custodial departments, and where to get started. There are already a multitude of IoT options for building operations, but those specific to cleaning are still relatively few and far between. 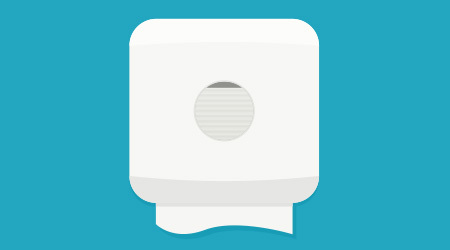 Currently in custodial departments, IoT connections are primarily being made between floor cleaning equipment, waste receptacles and various restroom fixtures. The technology in these products allows managers to track, manage maintenance and run time of equipment, as well as empty/restocking frequencies of dispensers and receptacles. This is possible through cloud-based software platforms that relay the information to managers for analysis. The goal is twofold: to improve efficiencies by streamlining cleaning processes and to anticipate problems before they occur. But, there is a learning curve with IoT technology, specifically strategies for analyzing and using the data collected. Return on investment is also a subject for debate among managers. But manufacturers all seem to agree that the time to start collecting data is now, because data is more useful when there is more of it. It’s important for cleaning executives interested in IoT to learn about the capabilities and limitations of new technologies. That’s the first step on the road to deciding how, when and where to put digital strategies into action.